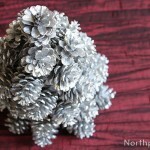 This is a very inexpensive, yet very impressive table arrangement. 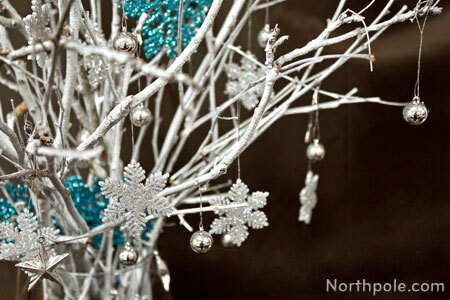 It is a nice arrangement for any winter-themed occasion—dinner parties, birthdays, showers, and of course, Christmas! 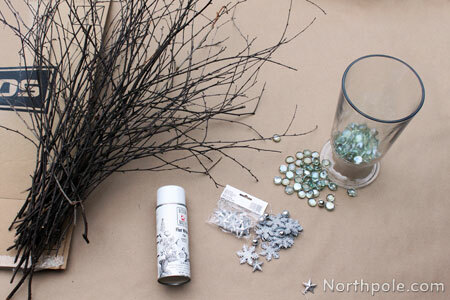 We collected the branches from outside, but you could easily find similar branches at a craft store. Collect branches from outside. We started collecting branches a few weeks before we making this arrangement so that they would be dry. In a well-ventilated area, lay cardboard down to cover your work area. (It's best to spray paint outside.) Lay branches on cardboard. 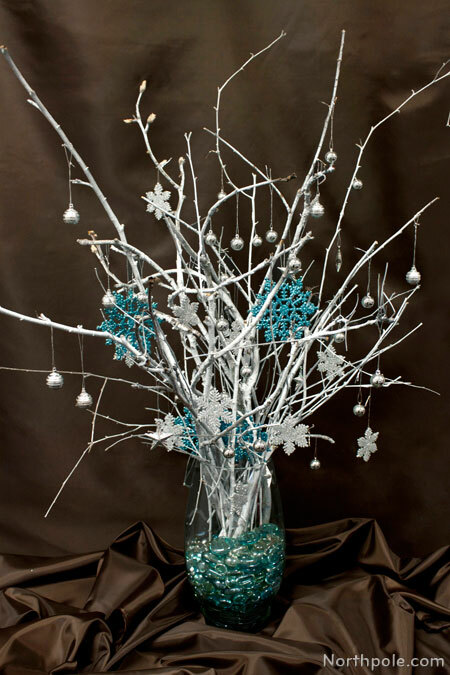 Use spray paint per the manufacturer’s directions and spray the branches, turning as needed to completely coat the branches with paint. Arrange branches in a vase. Break/cut branches as needed to desired length. Gently pour glass marble pieces into vase. These will help hold the branches in place. Note: Tilt the vase on an angle as you add the glass pebbles. Allow the pebbles to gently slide along the side until it reaches the bottom of vase. This will help ‘break the fall’ of the pebbles and reduces risk of breaking the vase. 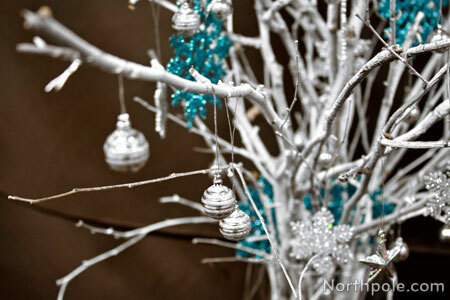 Hang the miniature ornaments all over the branches. Add additional embellishments as desired.